Another road trip under Ram’s belt and another push pin to adorn her map. 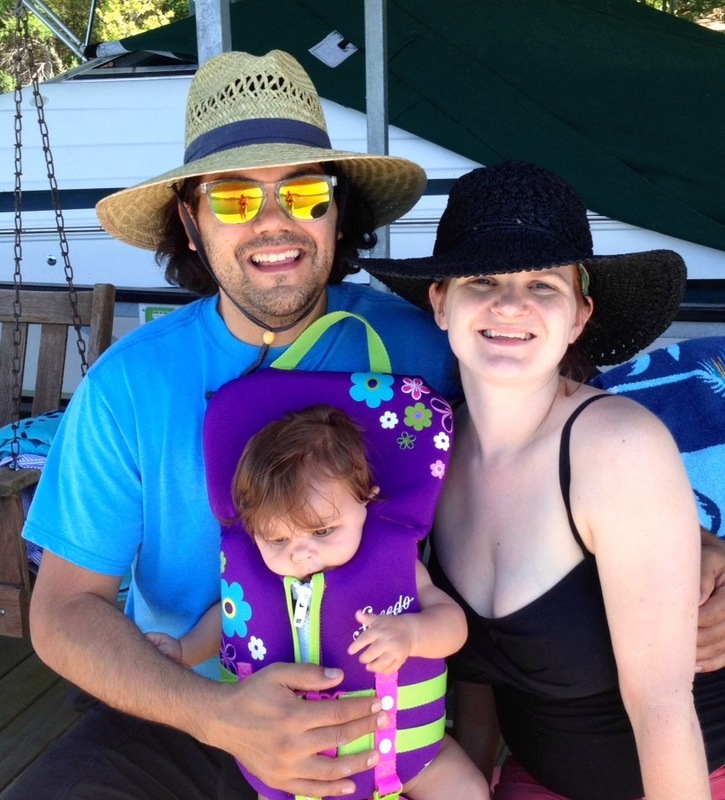 Ramona experienced her first weekend at the lake and she was digging it, we all were. The only thing that I wanted her to see that she didn’t get to was the fireworks. Kelly’s family has a lake weekend every year complete with an impressive firework display. Unfortunately for Ram she was too exhausted to stay up and enjoy. Next year though she will be ready for the fire in the sky. It is hard for me to explain the awesome that is watching your daughter experience things for the first time. Parents already know this and I am guessing this is high on the pro column when deciding to have another child. Her eyes grow big with excitement and anticipation. The smile stretches across her little face. The squeal of pure joy rings out. It is just real and wonderful. We had a couple of these moments this weekend. We got Ram all lathered in sun block and ready for the water. 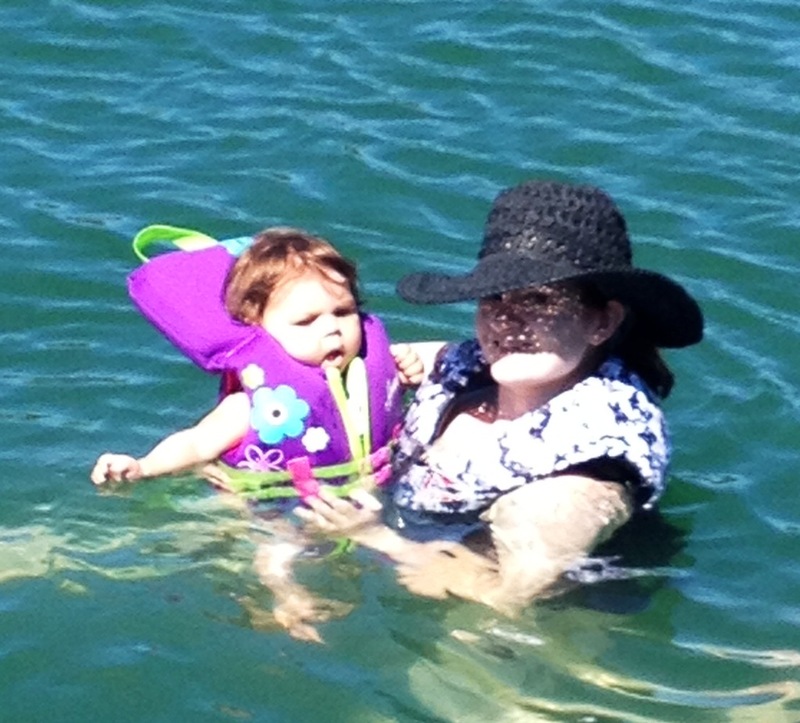 First she got in with Kelly and then we had her in a little float. She was a little freaked out but she started to get into it. A lake seems massive to me so I can understand where she was coming from. 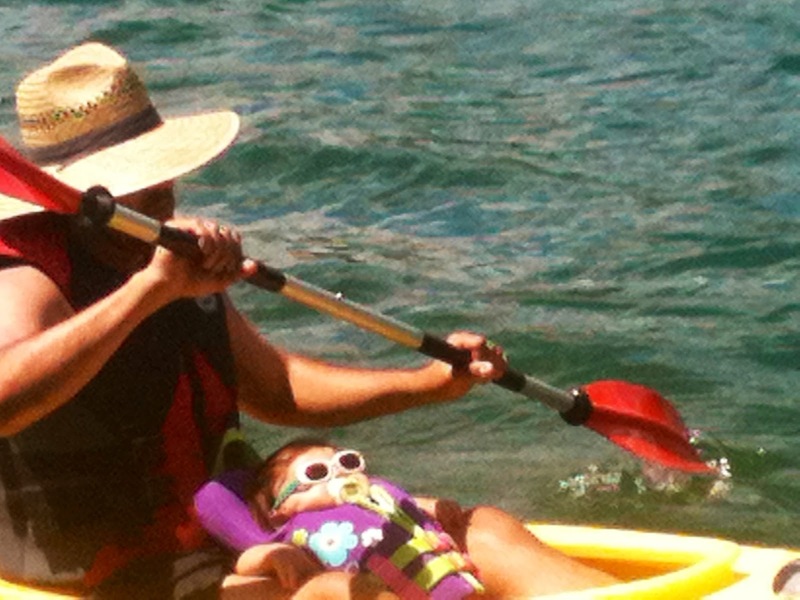 Then the real fun, Ram’s first ride in a kayak. I have been waiting for this day to come. That little girl just laid back and enjoyed the ride grinning the whole time. It was awesome. The best part of these weekends is getting to catch up with family. Ram got plenty of time with her cousins. Including her there were seven of them all under four. Of course you don’t spend that much time with cousins and not pick up anything new. Ramona’s mobility got a big step forward. I guess watching all the kids moving around got her going. She is scooting every which way now. Rolling, sitting up, pulling herself up, and just about everything but walking. Baby proofing is in full motion. Life is great and I am thankful for every moment I have. Happy 4th of July, stay safe!